The engineers, contractors and other people who do small projects like home remodeling etc. are always in need of some gadget which can ease their job and is reliable enough to be used always. One of the things which is really important in engineering work and for other small task is leveling. The contractors used threads to level things up some years ago but the laser leveling has changed the concept of leveling and gave different dimensions to it. Bosch is one of the companies which provides quality tools and gadgets for construction workers. Bosch has introduced different types of laser leveler but Bosch GPL 5 is one of the very best in the price range. 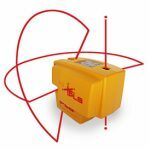 It is a 5 point laser alignment gadget which makes things really easy and reliable for construction workers. 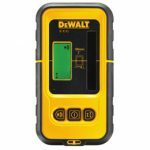 This small but effective 5 point Laser leveler has so much to offer to the construction workers and engineers. 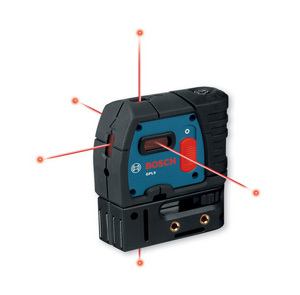 The 5 point laser alignment is developed by one of the best companies in this line, The Bosch. Purchasing things from a company like this, give you advantages of warranty claims and of course of quality as well. So one of the pros of this product is the company. The price is also a perk you should look for. You just cannot buy a 5 laser alignment laser in this price anywhere. The laser is accurate enough to rely on. The laser is battery operated, so you don’t need to be near the power source to use this laser. It is a pocket size gadget, so you can take it easily wherever you want. The laser beam is not bright. The beams are not bright enough to be used in the sunlight, which is very much a disadvantage of this product. It is vulnerable to break easily. You cannot rely on the glasses on the laser as it can break if you drop it. So you have to be very careful. It is using batteries to operate but the batteries used to die soon. It should be even better if the company might be using the rechargeable one. The Bosch GPL5 is not pretty accurate but it is enough in the money in which it is being offered. It is accurate at ¼ inch at 100 feet. You can find more accurate laser alignment in the market but this is the best you can find in this price range. 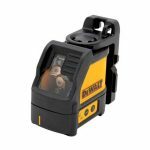 This product gives a unique feature of 5 point laser alignment. The 5 beams give you more coverage area. You can align different things from one focal point through this 5 point technique. 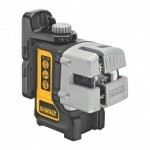 It is good for remodeling and construction work. The pendulum which allows the laser to self-level is a good option. It can self-level the beam at times but it is not something to be rely on. The laser beam of this product is bright but not bright enough to be used in sunlight. It can be seen in the sunlight but it’s not way to bright to be seen easily. The quad-mirror technology which this product uses is very helpful while doing the leveling. You can use the mirror technology to see things from different angles. The size of this laser is very well researched upon. It is a pocket size gadget and it is very convenient because of the size. You can carry it easily in the pocket and take it wherever you want. The laser is battery operated and use 3 AA batteries. So you don’t need to attach it with a power supply, which means you can use this in the farms and any other place even if you don’t have the power supply there. The 3 AA batteries give more operational time. The price of the laser is the best in the market. 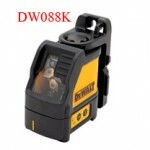 You cannot find a better 5 laser leveler in the market having less price than this. Above all, it’s Bosch, so you can trust them. The laser comes with a one year Bosch warranty but can be extended to 2 year options. The warranty is good enough because if the laser’s brightness got dull or any other problem, they can replace it with a new one. So it is good to have a warranty. 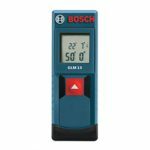 This Small but Effective 5 Point Laser Leveler by Bosch is a good purchase if you are using it for small projects. It is recommended not to use this product for huge projects because of its unreliable nature sometimes.